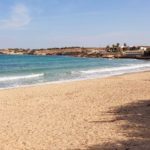 Sifneikos Gialos / Sun Set Beach – The name speaks for itself. 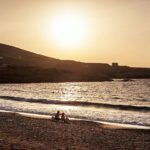 Sifneikos is a beach in the village of Antiparos with view to Sifnos island and an amazing view to the sun set. The sand is fine and the water quite deep. Not many trees on the beach to offer shade, so this is a beach where you can work on your tan. Depending of the direction of the wind it might be quite a lot of sea gras in the sea front of the beach. 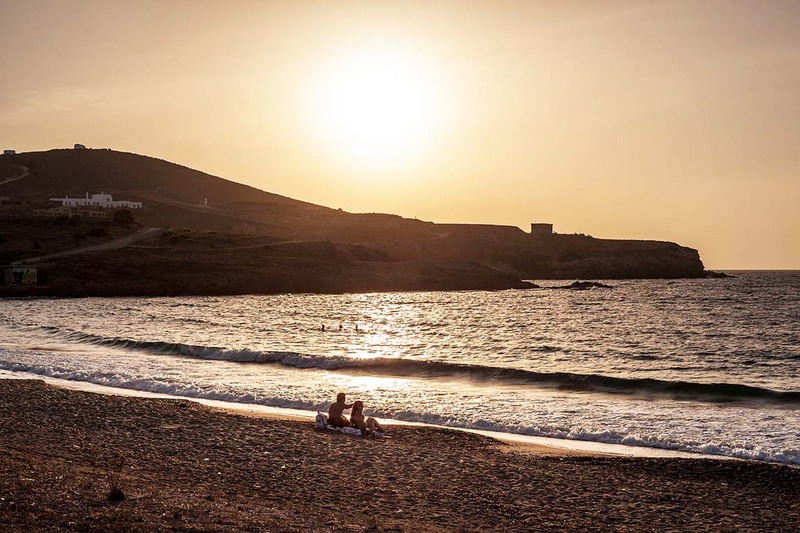 When the sun is setting this is the place to be: the best view on the island to watch the sun set!